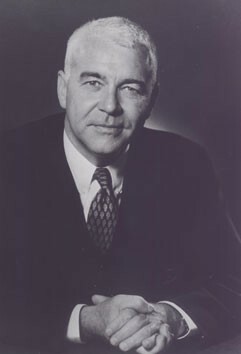 Prior to taking the Columbia University presidency, William J. McGill, educated at Fordham and Harvard Universities, had been chancellor of the University of California, San Diego and a professor of psychology at Columbia University, where he was also chair of the psychology department between 1961-1963. As president, McGill was determined to mend ties with the community and end violent student protests. He had a reputation for thrusting himself into the middle of student protests to converse with the leaders. In addition to student protests, when McGill took office he faced more than a decade's worth of budget deficits. Resolved to correct the budget problems, McGill stalled University growth and in 1978 was able to report to the trustees that the University had achieved financial stability. McGill retired to La Jolla, California following his tenure as president.